Han Solo is about to make a pivotal decision. He's tense. He's talking to his mentor. Together, they stand amid a group of ancient, inscribed standing stones. It's just a glimpse from the trailer of the latest movie instalment of Star Wars. But the ruins are not just some random background set design decision. It's actually a very familiar scene. And an important part of Star Wars lore. Far more important that you may realise. 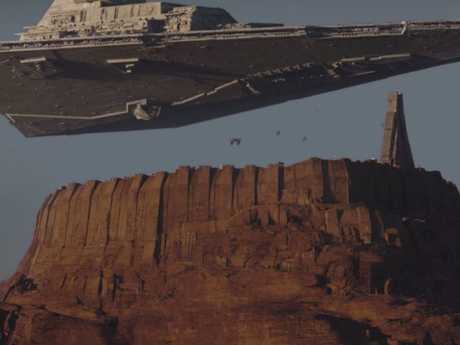 From the outset, the Star Wars movies have sought to enrich the depth and appeal of their universe with tantalising teases of lost civilisations. The symbols and edifices of a lost past are everywhere. Solo: A Star Wars Story is no exception. Standing stones hold a place close to our hearts: they're the epitome of ancient worlds. They're stark. They're silent. They're gathering places for dark ceremonies and portentous rites. At least, that's the power such ancient structures have when it comes to a story's narrative. And writer-director George Lucas has mastered their use. Enter the latest instalment: Solo. It's yet another example of the power symbology has within the epic science fiction fantasy, says Ancient America's archaeologist and anti-pseudoarchaeology campaigner Dr David Anderson. "Here we are revisiting the origin of Han Solo, a character we have come to know and love, and we have trepidations about whether a new movie, a new actor, can embody that loved character," he says. "Yet, the retelling of stories with new voices is what adds to their depth and cultural longevity. As new versions are layered on the old, we sometimes lose track of what is original and what was added." And just as the Star Wars story is in turn being retold, much of the franchise's success is in the old - familiar - stories and symbology it retells. The Millennium Falcon takes of from the rebel base amid the ruins on the moon of Endor. Picture: Star Wars: A New Hope. Lucas went through great pains - and expense - to get a few seconds of footage capturing the ruins of a Central American city for his first movie, A New Hope. Tikal sits in the rainforests of northern Guatemala. It flourished between 200 and 850AD. Its ruins have become an icon of the ingenuity of the ancient Maya. One of the prominent Maya temples at Tikal. This theme, established in the first Star Wars movie, endures. 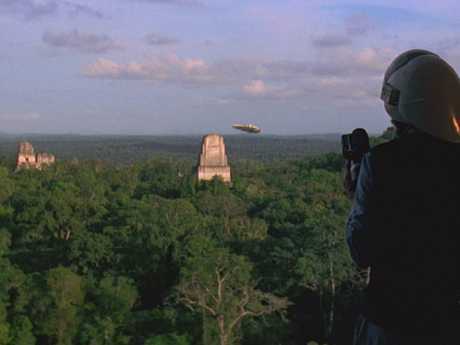 "I would point out that Tikal was difficult to access for a film crew in the 1970s," Dr Anderson says. 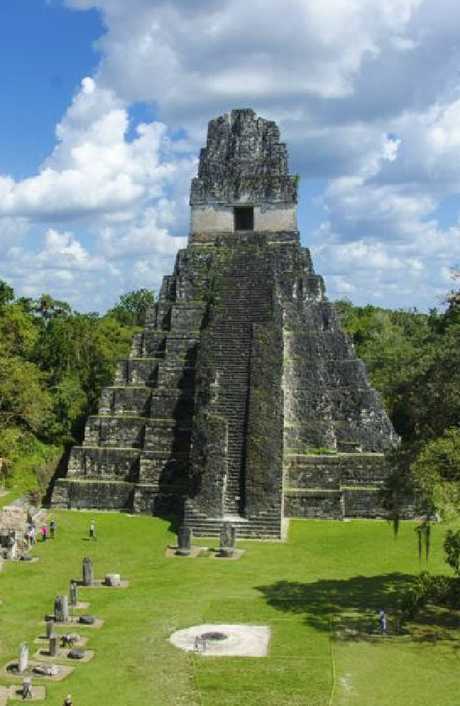 "The University of Pennsylvania operated a long-term project at the site in the 1960s, but it was little known before that, and even in the 70s mostly just people in archaeological circles would have known about Tikal. Lucas could have easily picked a more accessible ruin, or built something on a sound stage, but authenticity mattered to him." Using the ruins was a brilliant cinematic choice by the then fledgling director. "Science Fiction was a relative newcomer on the movie screen at the time and many people expected this Star Wars thing to flop, including some of the actors. Lucas had to believe hard to make this happen, and extra efforts like the Tikal shots really show that." Lucas turned to older story telling techniques and materials. He chose well. Maya and Egyptian pyramids were at the core of the emerging New Age movement - and a renewed fascination with the increasingly-embellished Atlantean mythology. And beneath it all is a rich tapestry of symbology. And relevance. "This is a continuation of the idea of rebels hiding in ruins," Dr Anderson says. "Interestingly, it is the space and symbols that give the Rebels value. This is in contrast with, for example, what Islamic State has done in destroying sites and selling antiquities on the black market. For Islamic State, the value is monetary and symbolic in destruction. For Star Wars, the value is in preservation - in the past enduring." It's a value judgement that applies to our everyday lives. "In essence, how do we value the past? Is it something worth capitalising on - or something worth investing in?" he asks. Lucas taps into the same power the mention of anything 'ancient' seems to have over audiences. He richly embellishes his universe with pyramids, standing stones, ancient religions … and a longing for a lost golden age. It's a story about a very sophisticated culture. It existed a long time ago, in a place far, far away … They were enormously powerful. But they were evil. They wanted to control their universe. Only one thing stood in their way … a small, ragtag group of resistance fighters who - though they weren't as powerful, weren't' as rich, were not as sophisticated - were victorious because they were a righteous people. But, as the Archaeological Fantasies podcasts points out: This is not Star Wars. That's the original fable of Atlantis. Greek philosopher Plato was seeking to teach a moral lesson through the simile of a hypothetical ancient Athens. It was fighting against the overbearing power of an imaginary Atlantis. It all happened, he said, 9000 years in his own past - long, long ago. It was in the middle of the Atlantic Ocean - far, far away. 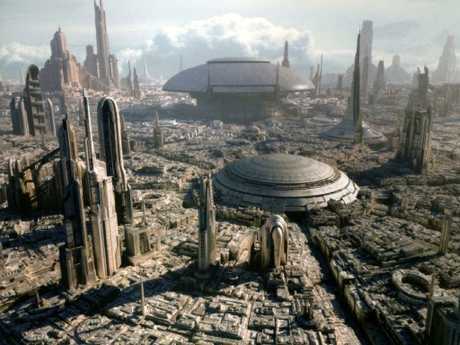 But, unlike the modern version of Atlantis, Plato's perfect society was not this strange city. That was the evil empire. Instead, it was the equally ancient and fantastical Athens that was able to rebel against the overbearing might of its opponent because they lived perfect, blameless lives. "I think the comparison between Atlantis and the Empire works," Dr Anderson says. "They're both hegemonic, powerful military forces, imperialistic, but Atlantis was wonderful until they became too prideful and ignored the gods. It doesn't really work as a golden age we want to go back to if its 'evil'." Han Solo makes a decision while among ancient, engraved standing stones. Picture: Solo: A Star Wars Story. Who built them? What did they mean? What happened to these people? What have we lost? Well … we already know. "There is the presumption of mystery that annoys me as an archaeologist since we actually know what happened at these real sites," Dr Anderson says, "but in fiction it can be pure fun." For decades, archaeologists have been carefully stripping back the ground around these stones to understand their context. They've found evidence of burials. Of feasts. Of rituals. And, yes, some of them have alignments with the times of year so important to emerging agricultural societies. But saying this in a movie or book would spoil the fun. "Why describe these monuments, why engage with them when the audience would rather you didn't?" he says. It's where the art of storytelling overrides the reality of history. "This speaks to how deeply ingrained these notions are in Western pop culture," he says. "A standing stone with engravings automatically evokes a forgotten mystery, and what better place for a smuggler to dwell then in the forgotten place?" Then, there are the moral quandaries posed by history. Tomb raiders? 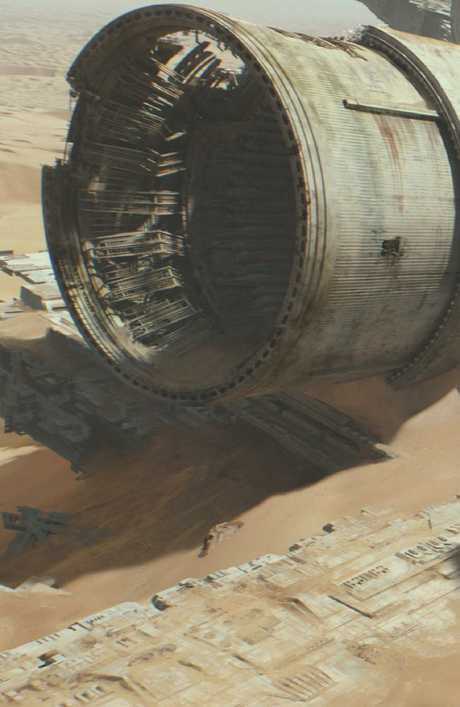 The wrecked Star Destroyers from Star Wars: The Force Awakens have direct parallels in the modern world. 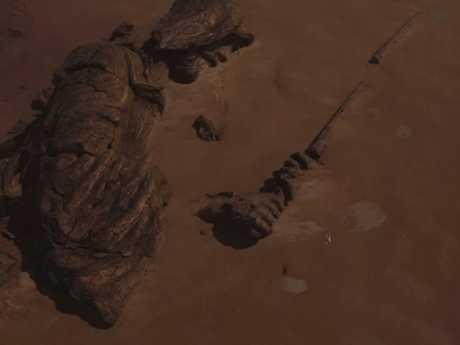 Titanic starships, wrecked and abandoned among the dunes. These early scenes in The Force Awakens are an awe-inspiring sight. It's also surprisingly relevant to the reality we live in. Sunken warships belonging to our own heritage - such as HMAS Perth and the USS Houston in Indonesia's Sunda Strait - have had their metal structures gouged off the seabed for recycling. The US and Australia regarded them as sacred war graves. Others saw them as economic opportunities. Historians, however, see their fate as a loss to our future. "Looting is the worst thing that can happen in archaeology," he says. "It takes objects out of their context and thus destroys all the data that context can provide. This is why what Hobby Lobby did was so bad." The US-based chain of stores was recently implicated in importing illegally excavated objects from the Middle East. It has sparked an intense debate there over what constitutes looting. "Supporting looters privileges the object over the information," Dr Anderson says. "But, depending on the context, we don't always care." Context is cultural. One person's heritage is another's annoyance. Or survival. "After I gave a public talk once, a member of the audience wanted to talk about how horrible it was that Islamic State was destroying archaeological sites in the Middle East. I agreed, but then pointed out that a Native American archaeological site just down the road had been destroyed a few months earlier for a new road. The individual was deeply offended that I even equated these two events. "We don't care if Rae loots a Star Destroyer in Star Wars because the Empire is bad." Dr Anderson says another of George Lucas' inspirations was Joseph Campbell's book: The Hero with a Thousand Faces. His idea was that all mythology have a "universal" structure. "I put universal in quotes because some people have taken this too far, but Campbell did make some good points with the Hero's Journey, that in essence humans tell very similar stories about heroes," Dr Anderson says. Put simply: without conflict, there is no story. "One of the common ways we establish that conflict is to suggest things used to be better. Ruins are that reminder." "Ruins here are that symbol, they come from our past, but endure into the present with a promise that we can be better, that things were better. Golden Age myths are among the most enduring, because we all want to think that life can be better then what we have." Blasted buildings. Decayed structures. Forgotten outcrops. Warship graveyards. "Throughout Star Wars we are reminded that we have fallen from grace, or are falling from grace, and again the ancient ruins are the visual reminder of that," he says. "All societies fail. We see it over and over and over again in the archaeological record. If we accept that as the natural order of things, we can gain some humility." It's a timeless tale that a lust for immortality is the ultimate 'hubris' - an excess of pride or self-confidence that offends fate itself. "That's what I see in the character of Luke at the end of The Last Jedi. He has accepted not that he has failed, but that failure is inevitable for us all. There is no shame in failure, there is just natural order. He accepts that, confronts Kylo Ren freed from his guilt and is able to sacrifice himself for the greater good. "I try to teach my students that archaeology can breed humility. This great city of Teotihuacan that you've never heard of before? It was around for 600 years and home to 150,000 people. That's way longer than the United States has been around and, at least for my students, far bigger than any of our nearby cities." The concept of Atlantis is fascinating. That's why it is so popular. It's a place of great wealth, great power and mystical knowledge. Its temples were sheathed in a valuable red-gold metal: orichalcum. But much of what we think we know about it is wrong. Plato is the only ancient author to mention Atlantis. It was, after all, his invention. An evil empire opponent for his virtuous Athens parable. Everything that has come since has been … embellishment. "The Atlantis full of mystical knowledge and strange powers is actually not something that attracted the New Age movement to Atlantis," Dr Anderson says, "it is something that the New Age movement added to Atlantis." Oddly, the rebels who fought against it - Plato's ancient version of Athens - have all but been forgotten. "There are multiple esoteric authors who add to our vision of Atlantis, but the most influential is Edgar Cayce, a famous 20th century psychic. Cayce was known as the sleeping prophet due to the trances he would go into when doing psychic readings." His favourite subject was 'speaking' to Atlanteans. "It is these readings that added a notion of esoteric and mystical knowledge to Atlantis, which was not present in Plato's dialogues." But there's a problem with such perfect societies when it comes to storytelling. "Why did the Star Wars prequel trilogy flop" Dr Anderson asks? "It is Atlantis. Everyone wants to hear about the golden age, but living through it is boring." It's the mystique of a perfect past that's so appealing. Not the reality. 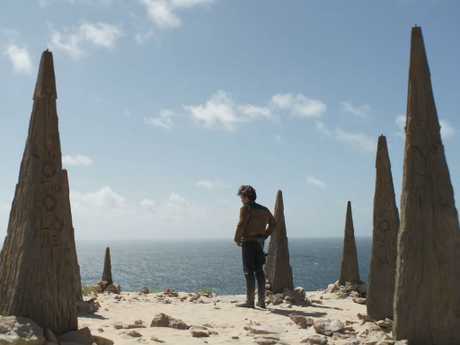 "The ruins scattered throughout the movies ensure the viewer knows that the rebellion is connected to that glorious past, but don't let us get too close." Han Solo has a very pragmatic view of his universe: "Hokey religions and ancient weapons are no match for a good blaster at your side … Kid, I've flown from one side of this galaxy to the other. I've seen a lot of strange stuff, but I've never seen anything to make me believe there's one all-powerful force controlling everything. There's no mystical energy field that controls my destiny." But, Dr Anderson says, Star Wars has delved deeply into New Age spiritualism. Take, for example, the movie Rogue One: A Star Wars Story. "This is where I see some of the biggest New Age connections in the form of 'crystal power'," he says. "The ancients knew where to find these most powerful of crystals and fashioned them into the light sabres of the ancient Jedi Order. Only now, after the fall of the Jedi, does anyone realise that this ancient culture had a superior technology than we do today." 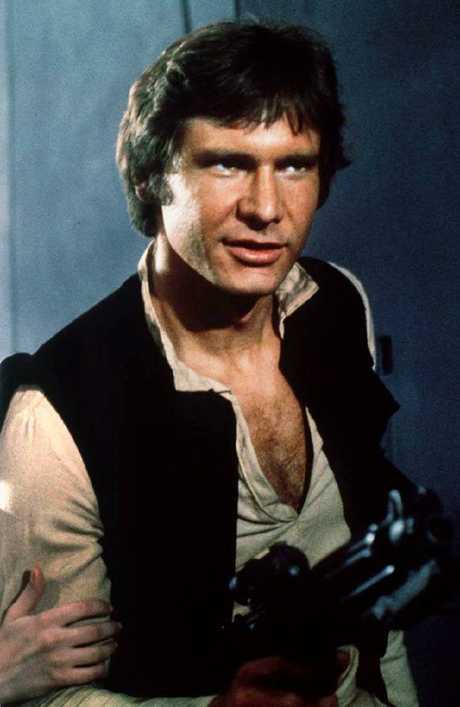 Harrison Ford (Han Solo) in Star Wars. Once again, we're brought back to the Atlantis story. Though, in this instance, it's derived from modern spin and not Plato's ancient moralising. "This is straight up Edgar Cayce's Atlantis where the Atlantans tapped the tremendous powers of energy stored in crystals, which only adepts today can harness", Dr Anderson says. All became massive cultural icons during the 1970s and 80s. "The Jedi as having psychic powers is often overlooked, as in we accept that they manipulate the force, but we never really step back and call that 'psychic'." 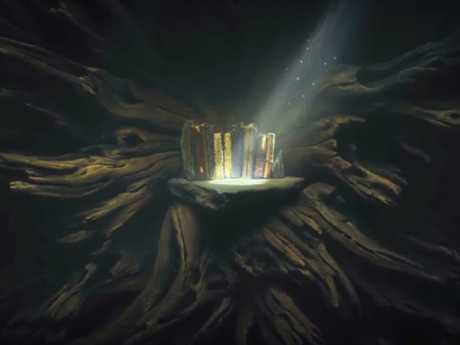 The emergence of the Jedi religious texts in The Last Jedi heightens the sense that they were keepers of esoteric secrets. "As much as the Jedi Order had always been spiritual, the introduction of texts transforms the spiritual into the religious when it introduces a potential orthodoxy," Dr Anderson says. "Placing those texts in an ancient temple deepens the association of all ruins throughout the Star Wars universe with that ancient order. Luke's attempted destruction of the temple, with Yoda's actual destruction of the temple, further emphasises that what really matters is the spiritual - not the material. "Yet, I actually think that's where the series is dishonest. Lucas has a profound understanding of how material symbols matter. Right down to the logos of the Empire and the Rebellion which are well established as early as A New Hope. "Symbols matter! Perhaps particular expressions of that symbol are ephemeral, but the object that is the symbol does matter." 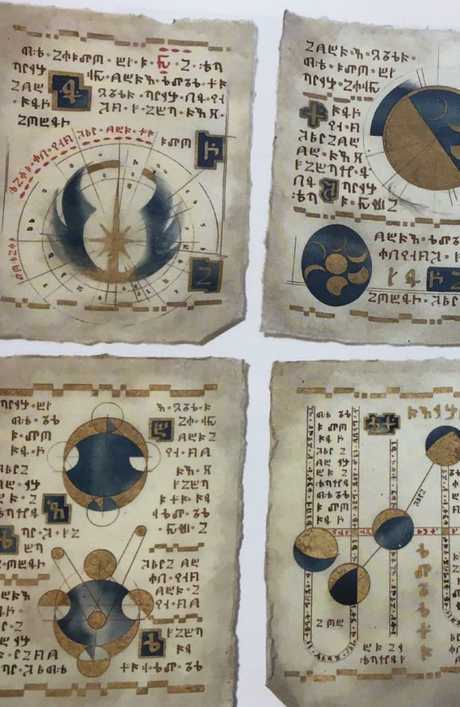 Prop pages show the rich continuity of symbolism in the Star Wars universe. Picture: The Art of Star Wars: The Last Jedi. Symbolism is one of the few channels through which archaeologists can hope to understand lost cultures. "Ancient Alien folks look at rock art or the elaborate carvings of the Classic Maya and say 'That looks like an astronaut, or that looks like a rocket ship'," Dr Anderson says. "But this kind of interpretation is a personal Rorschach test, not a culturally embedded analysis. The real statement is 'It looks like a rocket ship TO ME'." The real question is: what did it look like to the culture that created it? "The only way we can attempt to answer that question is to carry out intensive contextual analyses of symbolism rooted in place and time. If we take those symbols out of their context all we can do is say what they look like to us." The power of context is evident within Star Wars itself. 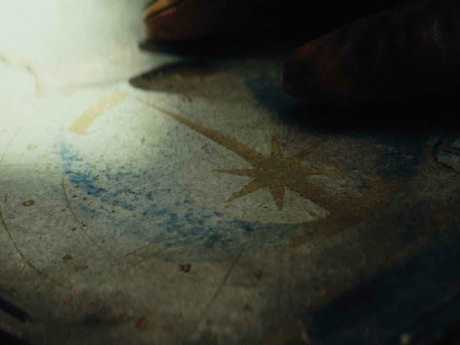 "The Last Jedi ends with one of the children looking at a ring with the symbol of the resistance on it," Dr Anderson says. "That symbol matters profoundly to that child, but it is meaningless without the real context from which it comes. "The symbols of the ancient Jedi order matter, but only if we see them as symbols of hope and rebellion against fascism."